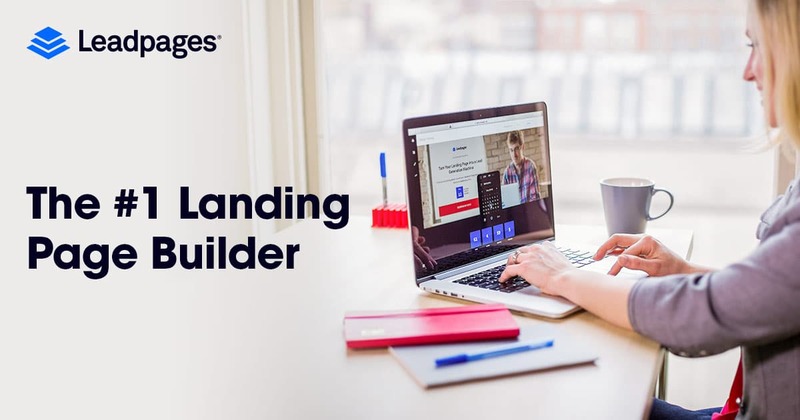 Top 10 Best Landing Page Builder Softwares for 2019 and Beyond! You are leaving so much money on the table if you are not leveraging the power of landing pages. In this post. We are going to learn all the basics of landing pages the best in the market as Well a Give you the best Landing page Buiding Softwares in 2019 and beyond. It will be damn to talk about landing pages if we don’t know what that is. According to Wikipedia, A Landing page is also known as a Lander(May also be called a HomePage), Static page or Destination Page. But why are we still moving in cycles? A landing page is where you showcase your offer(s) in a single page and persuade your potential customers to take your intended action. What Are Landing Page Builders? 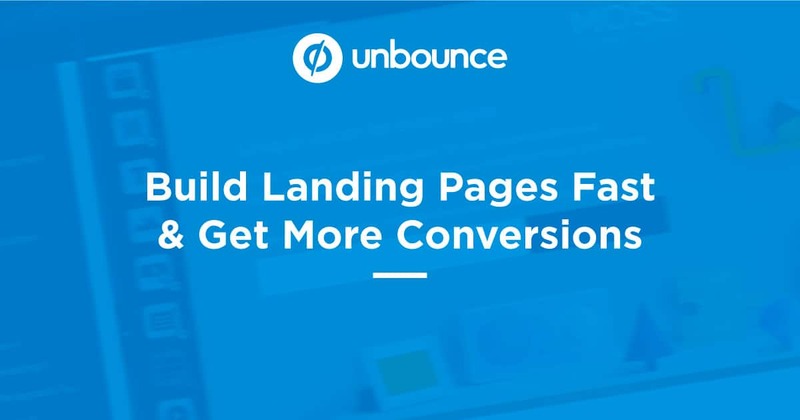 These are a set of tools that make the process of building landing pages a little more easier. In this list, Most of them have a drag and drop capability, mobile responsive and have a FREE TRIAL. So, don’t leave this page without trying one Landing Page Builder or if you are crazy, go try All of them out! Simply Grab your preferred template, customize it, publish, Done! You can use them for? Why is Using Landing Pages so Effective? Here is the harsh reality. Most people will not make their purchase decisions of your First, second or worst even the third encounter. According to Neil Patel, Only 3% of people who visit your site are going to make a purchase. What about the remaining 97%? All gone and clicking away from your site. Sadly, they may NEVER come back again. That’s Why you’ll need to use landing page builders or an exit pop to Capture their emails and use a tool like Aweber to send them content over time. You can show Real-time, verified social proof that people are taking action. This creates a bandwagon effect. If they are doing it, why not me? By now, you clearly understand why landing pages are so important and why you need to start using them today or get left behind in this competitive market. Please note that this list does not by no means follow a certain order. Disclosure/Truth/Legal Common Sense: Some of the tools(not all) on this page contain affiliate links which mean that if you choose to make a purchase, I will earn a commission. This commission comes at no other cost to you. Please understand that I recommend them because they are helpful and useful, not because of the small commissions I make if you decide to buy something. Please do not spend any money on these products unless you feel you need them or that they will help you achieve your goals. While I have tried breaking Each of Each tool down in terms of pricing and features, It is prudent to notice that some have more tools inside the like Autoresponders and other Goodies. Some have One-time fees while others you have to commit monthly. Some are more expensive than others. So check each of the tools and see which one fits your marketing needs. When people think of funnels, the first thing that comes into mind is ClickFunnels since it has been leading the market for years and used by thousands of Elite Entrepreneurs. If you are online and like browsing on Facebook, you may have come across Russell Brunson. He is the Guy Behind ClickFunnels. ClickFunnels is more than just a funnel builder. With Funnels that are proven to convert, it is worth trying out. Simply Grab a highly converting template, edit, and boom. You are done. ClickFunnels has 2 prices $97 and $997. That is basic and etison suite respectively each one of them Having a 100% 14-day risk-free trial. Try ClickFunnels Now FREE for 14-Days! 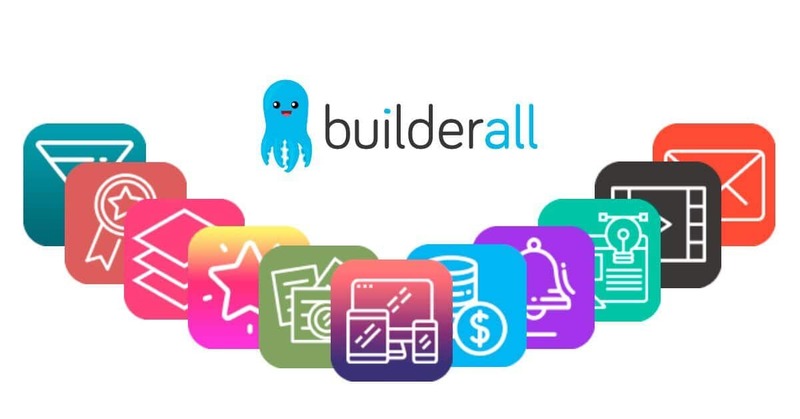 In their sales page, BuilderAll claim to be an All-in-one Marketing Suite to Automate and Run a Sustainable Business Online. In 2017, BuilderAll took the Internet by storm and you would hear everyone talking about it. Since then, it has become one of the biggest ClickFunnels Alternative. Keep in mind that they are some people that are completely unwilling at all to switch from their favorite tools. Ideally, it has all the tools that you get with ClickFunnels but ClickFunnels having been in the market for a longer time. Cost $49 and comes with a 7-day free trial. 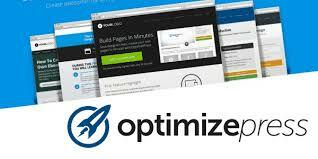 Most of my pages on this site are Built with OptimizePress 2.0 including my Homepage. You can achieve most of the things that can be achieved with ClickFunnels Basic. Integrates with your favorite like Stripe, Paypal, Wix, ConvertKit, InfusionSoft, Aweber, Get Response and more. What is interesting about Optimizepress is that you pay a One-off Fee and an optional Yearly renewal fee. That was not a mistake, you can now get the pro account for only $197! More than just a Landing Page Builder. You need to Build Conversion Based Websites. 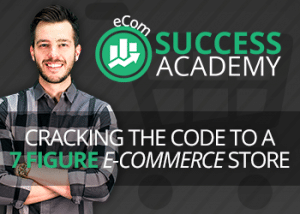 With thrive Architect, you can achieve that with Ease and Build Conversion Based Websites just like John Lee Dumas From Entrepreneur On Fire. Thrive Themes: The best Conversion based WordPress clean and Clears themes with lightning speed and with features that make your life easier. Thrive Headline Optimizer: Test and generate headlines that get more clicks and therefore generate more traffic. Do they really lead the Landing Page Market? Comes with a simple WordPress plugin so you don’t have to abandon your lovely site. But didn’t we just say that these Tools are not following any particular Order? Kartra is more than just a landing page creator. 1-click Upsell and downsell. No need to enter credit card information twice. Kartra comes with a $1 14-Day Free Trial. Seriously! Thereafter, you’ll be billed $99 or $199 depending on the plan you choose. This tool has been featured in highly Authoritative sites Like Forbes, Enterepreneur, Inc, CNBC, Business Insider and Time. Kajabi Will give you everything you need to create, sell and market your digital products. It comes with your investment of course. Kajabi has 3 pricing plans Each coming with a risk-free trial. So no risk on your side. Starting at $99/month- Billed annually for up to 30,000 unique visitors, you can create pages with ease with their 200+ Templates. According to the company CEO(We had a personal, one-on-one touch), The company was purpose-built for larger advertising teams and agencies. That was the result I found. Do you want your hard gained visitors aka potential customers to bounce back and make a purchase on another website? We want them to stick around and probably make a purchase to keep us online! That’s the general idea behind unbounce. Ability to have a FlashSale. Who doesn’t love discounted products? Great landing pages for PPC. Unbounce comes with 30 Day Free Trial. Therefore again, no obligation on your side. Here is the price break-down. Wishpond comes at a fairly price and closes our list today. What can I do with Wishpond? Wishpond Comes with a 14-day Free Trial with price ranging from $49, $99 and $199 all billed annually. Having a landing page is essential for everyone who wants to build a presence online. Not only does it keep your content online 24/7/365 but also make it possible to capture potential customers email who may buy from you in the future or just help your brand get more exposure. You are loosing so much money if you haven’t yet started using landing pages because they are less costly and fairly priced to use pre-made templates rather than hiring a designer. That is it for the Best Landing Page Building Softwares in 2019 and Beyond. Which is your Favourite Landing Page Builder? Leave them in the Comments Below! Great post! Landing pages are one of the most essential tools for marketing, thank you for enlighting us, i’m actually looking to start an email marketing campaign with my business and I’ m looking for a great landing page platform, the best page building softwares listed on your post I found interesting is Unbounce. I believe it will help with the campaign. Thank you for sharing! While starting out, I was only interested in content creation and promotion in my Affiliate business. Glad that you found Unbounce a great option for your business. Aweber and Convertkit Takes the Lead for email marketing. You have put together an excellent post on the many landing page builder software options that are available in the market today, and as I ran through your explanation of each, I was wondering if there were any that I am not familiar with. Each has its strengths and weaknesses, and the price points are all over the place too. The Clickfunnel option is way too high for me, but it is a top-notch platform that does the job well. My problem is that there are some things it cannot do, plus the price is high I think for what you get. Some of the other ones are the same. You can buy a Mercedes, but if you only need a Volkswagen, why buy something you will not use? For me, the best option you listed was the Builderall, and indeed, that is the one I use mainly. I do have some WordPress based solution I use too, but for speed, and you want speed for these pages so they will load fast, the Builderall HMTL based pages work well. This was a good post too in another way. You explained in very easy to understand terms just what a landing page is and why we need to use them for online marketing. That has not changed over the years, just the appearance of them has. 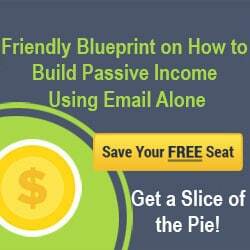 They are still effective to offer lead magnets so you get some of your traffic to sign up for your lead list. Thanks for putting this together, I enjoyed reading through it. I like your writing style, by the way. It’s easy to follow and entertaining! I have been looking into free WordPress page builders that act ‘in house’, basically builders that work from a plugin setup. So, thanks for these suggestions, as the one’s I’ve tried so far have been a bit confusing at best. More often than not I cannot get rid of the sidebar on my page…even if it’s not a post. Do any of these builders have a way around this? Tony your post is beautiful. When I started Affiliate marketing through CPA OFFERS i was introduced leadpages for over a year now I have been using them. I used to think they are the best. But in this post I see other good alternatives. I gonna try thrive it appears promising and great. Hi! Yeah, I agree with you concerning the importance of landing pages. And I feel I have been leaving money on the counter because I haven’t been using them. Thank you very much for reviewing these cool landing page builder software. I personally am inclined to test Thrive Architect because I know the direction I must go is building conversion based websites. I’ll start with Thrive Architect. Thank you very much! Wow, so much information on good stuff on one page. This will definitely help me with landing more sales for my skin care products and I can also use it for my affiliate marketing job. With so many products to help online business people like us, the sky is really our starting point.Bloggers and web managers do a good job of sourcing and reviewing these products for the benefit of everyone. Your review on the ten best landing pages software builders is very explicit and easy to read and understand. I have actually tested Insta page before and its very phenomenal and easy to use ( though i found it a little bit hard initially when i started but the more you use them the easier it gets). Though atimes it maybe frustrating having a very low conversion rate of the products your promoting even though you have spent some little money to create a very lovely landing page. Nice review. Cheers! Thanks the reviews about landing pages builder software, your article really shed a good light on landing pages because I’m a newbie and had no idea what it’s about until I went through your web page. Can’t wait to try one or two from the bucket lists of Best Landing Page Building Softwares you listed above. Thanks for the information, really helpful. Landing pages have become so widely popular these days. I can assure you that they were not this popular back in the days when internet marketing was not as common as they now are. Building a landing page back then was so difficult and complicated and a lot of time has to be spent in building just one landing page and it could only be done by a professional. But check out how they currently are. They have become so easy now that even a complete novice can build a landing page in under an hour. That is just amazing and this was made possible due to the landing page builders that are currently available and out of all of them, my favorite is clickfunnels. I think it is the best around although the price is a little bit high. Nice in depth article. I have a little trouble with the landing page concept, because I don’t understand it 100% is it like a front page? or a pop up window or how does it work exactly? I hope you will answer my question 🙂 I love your page, keep up the great work of helping people! This is an insightful article and i must commend you for putting this lovely post together. I have not been leveraging on the power of landing page before now but i can you that your article is an eye opener for me. I am starting by trying clickfunnel first then move on to others. I like that there are products out there to support bloggers in the management of multiplatform traffic centers. Its not enough just to rely on SOE and the traffic that results from this type of traffic. Do you know of any red flags that can hurt SOE Ratings based on the way the content of Landing Pages is being generated? While it is never good hearing about the 97% of people who migrate away from a website, what is a realistic percentage bump that can be expected from optimizing landing pages?